When Ben Affleck was named as the next Batman the internet was flooded with Batfleck backlash instantaneously, ranging from outraged tweets, to snarky memes, and even a petition begging for Warner Bros to reconsider the casting decision. But Hollywood was quick to step up and defend the actor who also happens to be a Academy Award-winning writer (Good Will Hunting) and producer (Argo). Dedicated comic book-lover, writer and Avengers director Joss Whedon tweeted his support. Batman Forever-era Batman Val Kilmer demanded we give Ben a chance, while Affleck’s bosom-buddy Matt Damon said said he’s got the chops to handle the cape and cowl and then some. Joining this chorus of support is pop star turned movie star Justin Timberlake, telling Jim & Kim on Fresh 102.7 (via MTV) “Ben Affleck as Batman, I like it. I worked with Ben last summer and I've seen his process. I think he's a brilliant filmmaker. I think he's an extreme talent, so he could surprise a lot of people." The movie shoot Timberlake refers to was for the Brad Furman-directed crime-thriller Runner Runner, which is coming this fall. 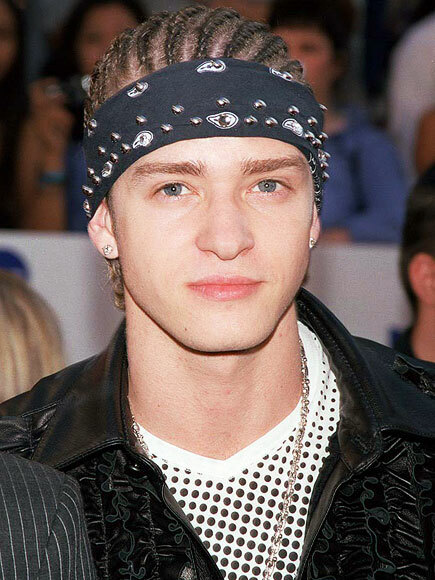 Asked if he’d be willing to pair up again with Affleck—perhaps as his Robin—Timberlake was quick to shoot that down. "Not a chance in hell," he exclaimed. "I ain't playing Robin. I have no aspiration to ever be a superhero in a movie." "Now villain. I'll tell you the villain I want to play more than anything because I grew up loving Batman, funny enough, is the Riddler. The Riddler is my favorite villain... The Riddler was like a sociopath. He was proper crazy. So if I'm gonna play crazy, I'm wanna play proper crazy... I'm ready. The Riddler. Gimme a call." While this casting possibility will likely incite a whole new rash of fanboy/fangirl gnashing of teeth, for now it’d be over nothing. We have had no suggestion that The Riddler will have anything to do with Man of Steel’s sequel. But for what it’s worth, I like this idea. For me, the Riddler was defined by Jim Carrey’s loose-limbed unitard-sporting spark plug in Batman Forever. I think of the character as not just criminally brilliant but also with a larger-than-life energy. That would fit JT to a tee. Of course casting—like beauty—is all in the eye of the beholder. So what do you think of the idea of Timberlake as a reimagined Riddler? Riddle me this: Justin Timberlake as the Riddler? Terrible idea. Get a clue!